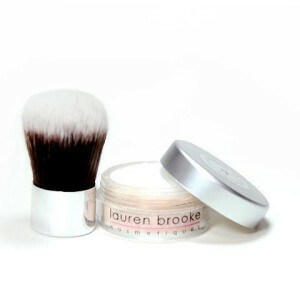 Our Lauren Brooke Translucent Arrowroot Finishing Powder is specially formulated to help diminish the appearance of fine lines and wrinkles, reduce shine and maintain a fresh, healthy look all day. Our Banana Corrective Finishing Powder helps neutralize redness and illuminate your skin both use 100% natural vitamins, minerals & pigments blended in a 100% certified organic botanical base Now European Union Certified! Brush over our Foundations to add a smooth, matte finish or apply under Foundation and throughout the day for extra oil control. Organic Arrowroot (Maranta Arundinacea) Powder: Helps in retaining skins moisture. Natural Clay: Detoxifying & remineralizing.